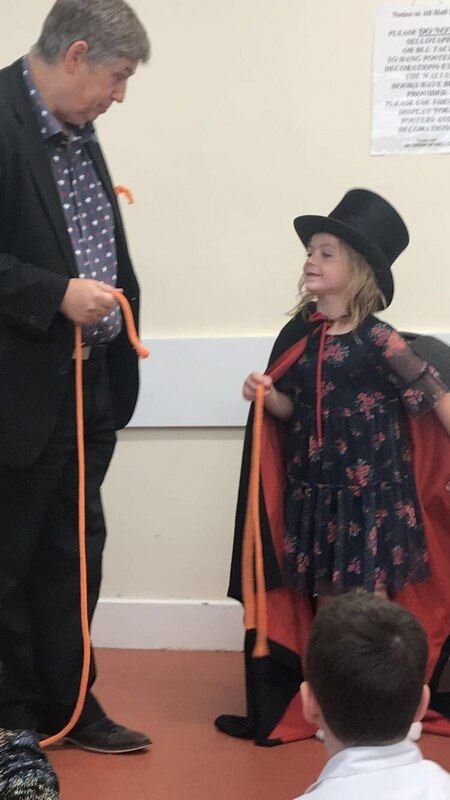 For over 20 years Douglas Cameron has been a full-time professional magician entertaining adults and children throughout the UK and abroad. 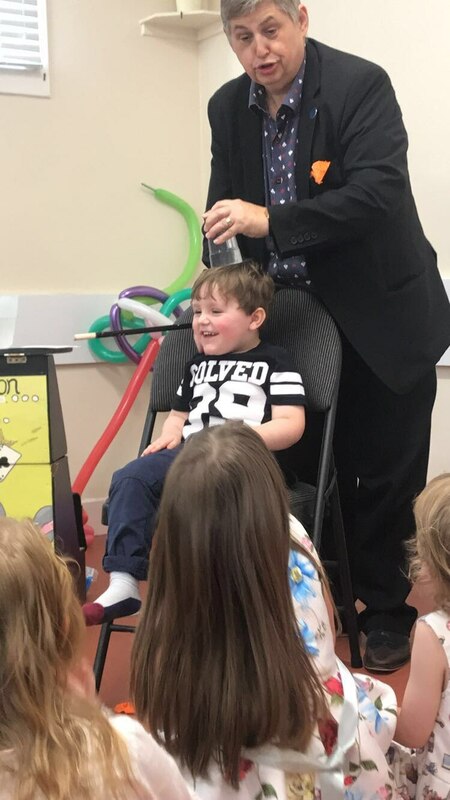 When not performing for corporate clients Douglas can be found presenting his magic to audiences in schools and at birthday parties, anniversaries, christenings, weddings, first communions - anywhere people gather to celebrate and have fun. 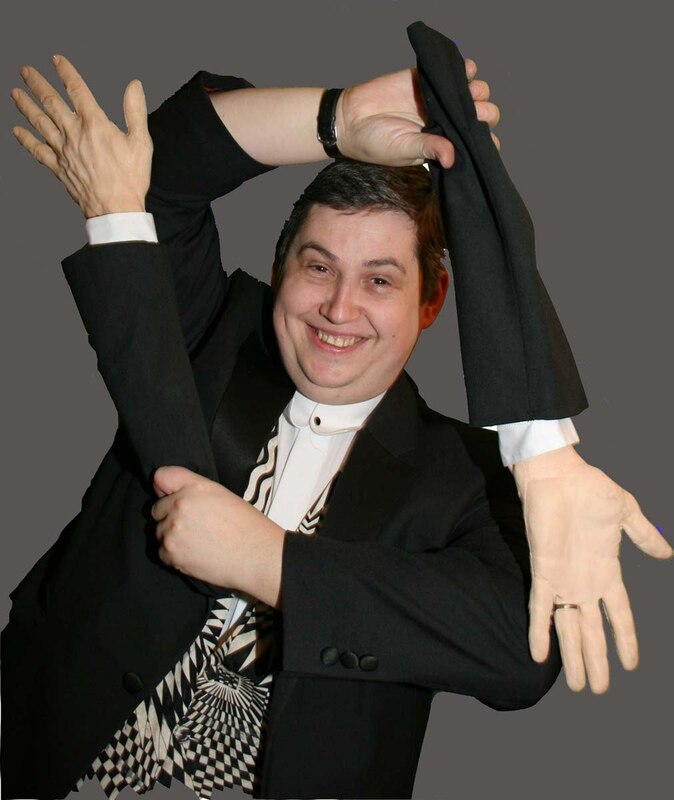 Douglas not only brings magic to your event, he'll leave behind smiles and laughter on the faces of the young and the young-at-heart. Douglas entertained both kids and adults. Great show. Douglas was very professional and worked around the size and dimensions of the event hall well. He was easy to communicate with and flexible with his time on the day. 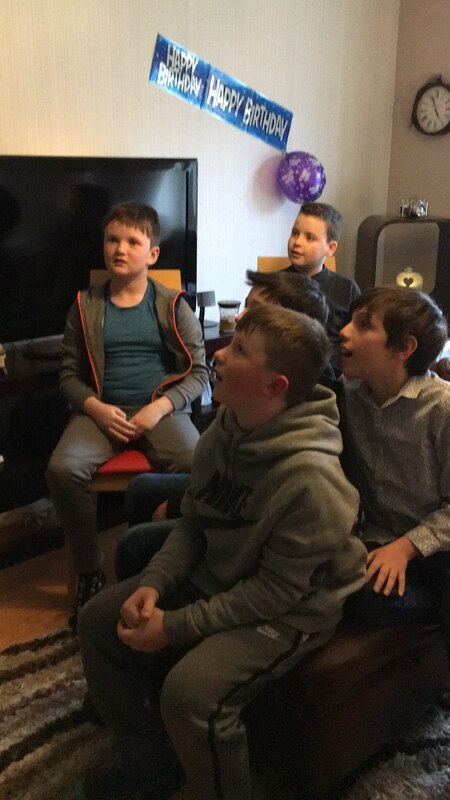 The kids were engrossed with the magic show and Douglas did well keeping their attention in between tricks. 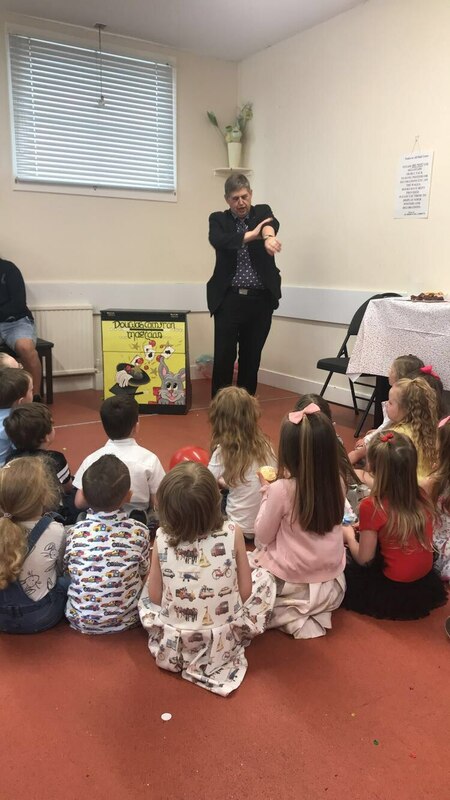 Douglas attended the magic show and was happy enough to just come into the nursery and set up and get organised on his own without any help, which was great as this is a busy time of year for the nursery. Douglas could have been slightly better with the communication as I feel I had to contact him a few times to put the times together and ask for an invoice etc but he was happy to do so when I asked him, which was great. Douglas Cameron was very reasonably priced compared to similar entertainers which is also good. The children had a great time and laughed throughout which is the main thing. Thanks again from all at the nursery. 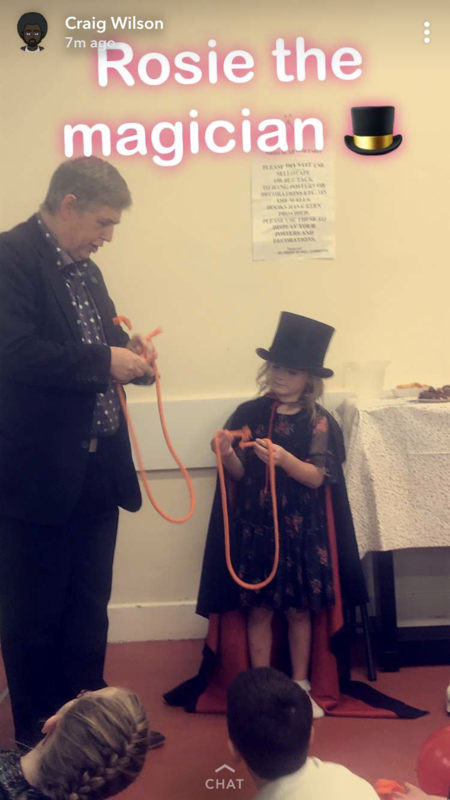 Douglas was a brilliant magician and kept a small audience of various ages highly entertained and engaged for his whole act. He is really funny which only adds to the overall act. We loved him and would highly recommend him to anyone. We’ll certainly book him again. Thanks for your kind words. I had a great time entertaining everyone on the day. Douglas was spot on time. He instantly connected with the 12 x 11yr old boys and they loved his slight of hand magic tricks. He was even asked for his autograph... he was pleasant, patient and very professional. Douglas tailored the party to my request and gave my son a wonderfully clever balloon of a shark and a magic tricks book. As well as giving each child a trick to take home. It was my pleasure to perform for such a great group of people. Douglas was absolutely fab! He integrated very well with the party goers and read his audience! Everyone was enthralled by him and are still speaking about the 'magic'!! If you are thinking of hiring Douglas, then do so ...... he is so so good and he will not disappoint! Douglas was fantastic with the kids. Very entertaining, he had them all stunned with his act, especially the water trick. Fantastic... Interactive... Great with children. Would definitely recommend Douglas for children's parties. He has a great connection with children and fully engaged and involves all the children. St Paul's church Junior Disciples loved his magic and the balloons he modelled for each of them. 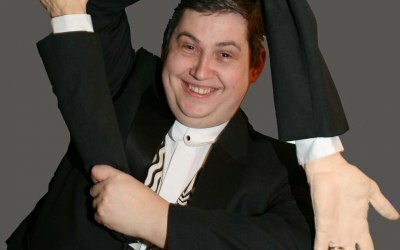 Get quotes from Douglas Cameron - Magician and others within hours.